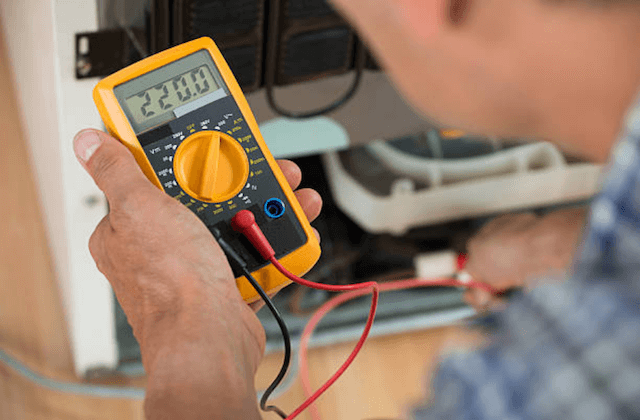 Excel Kenosha Appliance Repair is happy to take care of the appliance repair needs of our customers in Kenosha County Wisconsin and surrounding communities. We are family owned and operated. As an appliance repair service, we focus on excellent customer service and technical perfection. We do everything that we can to let our customers know how much we appreciate their business and their trust in our services! Every day you are in good hands with our certified technicians. Our local repairmen undergo frequent education and training. Along with their many years of experience, this guarantees that we can carry out any household appliance repairs that you need. And, this includes repairs on all newer technologies, brands, and models. We are pleased to provide appliance repairs the same day they call to all residents of Kenosha. Our goal is always to accomplish any oven repair, refrigerator repair, washing machine repair, dishwasher repair, and any other services on the same day that you call and on our first service call to your residence. We repair major brands such as Maytag, Kenmore, LG, Samsung, Whirlpool, GE, KitchenAid, Sears, Sub-Zero, Wolf, Bosch, Frigidaire and many others. Please read our FAQ following. We always load our service vans with the manufacturer parts necessary for standard repairs and we give you a 12-month warranty on our labor and on all parts installed. Our goal is your complete satisfaction! 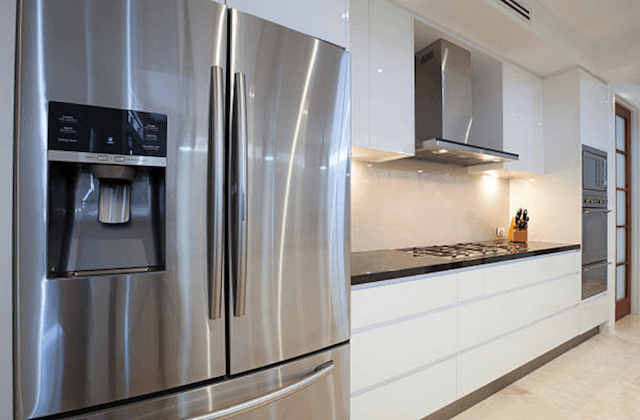 At Kenosha Appliance Repair we are able to fix all common refrigerator and freezer problems that occur on all the major brands and models. We can easily repair or replace burnt-out bulbs, water dispensers, ice makers, and touch panels. We will investigate and fix cooling issues, condensation problems, leaks, and loud noises. And we are always up to date on the latest smart technology as well. Call us for same-day service and we will diagnose your problem and repair it with manufacturer parts. 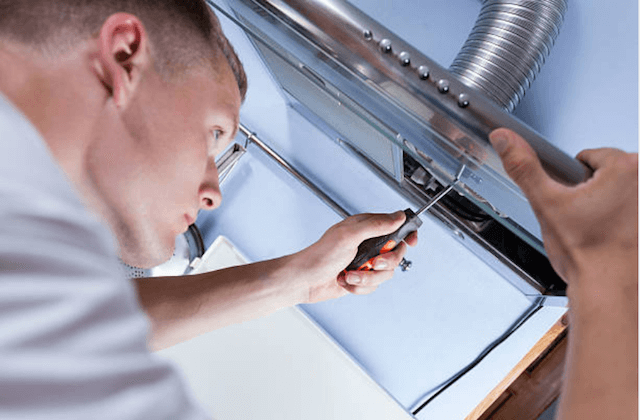 As your local appliance repair service, we consider ourselves to be on-call to repair broken stoves, range hoods, and more. We fix both gas and electric models and deal with all the issues related to burners, switches, doors, ignitors, relays, bulbs and anything else that goes wrong with your stove or oven. Our repairmen have the right tools and correct training to deal with all types of ovens, including newer models, on the spot. drying. We will come out to identify the problem and fix it the same day that you call for help. When you have a broken washer or dryer you have a major inconvenience. But, before thinking of trips to the laundromat or letting dirty clothes collect, call for help. Our technician will come out on-time and fix your problem fast. We repair both front-end and top-loading machines for agitation problems, vibration issues, noises, door closure problems, broken switches, malfunctioning control boards, and vent issues. Same-day dryer and washer repairs are what we do at Kenosha Appliance Repair. “Just a great experience overall! This is the first time I have left a review for an appliance repairman, but this company definitely deserves it thanks to how fast they fixed our oven. Five stars!” – Beth D.
“Excel Kenosha Appliance Repair did an excellent job in repairing our old GE refrigerator. We are moving next year so we really didn’t want to have to buy a brand new model and now we don’t have to!” – Leslie P.
“The dishwasher repairman called ahead of time to let me know he was running late due to his previous appointment running longer than expected. Little things like that show how much a company and its employees care about their customers. When he did arrive, he was very friendly and apologized one more time for any inconvenience. He fixed our dishwasher very fast and even changed the lightbulb in our refrigerator for FREE! 100% recommend Excel Kenosha Appliance Repair!” – Helen C.
Q. IS REPAIRING AN APPLIANCE OR REPLACING IT BETTER? A. When you have a broken appliance in your home there are two choices. You can schedule appliance repairs and try to fix the problem and save the money you would spend on a new appliance. Or you can buy a new appliance as your budget allows and save money on repeated repairs. It all comes down to how old your washer, dryer, dishwasher, or stove is. Appliances have expected lifetimes. If your broken appliance is in its early or middle part of its lifetime, we typically recommend scheduling appliance repair services. If your appliance is at the end of its expected service life, we will suggest replacing it with a new model and to stop paying money on repeated repairs. Q. ARE YOUR WORK AND PARTS WARRANTIED OR GUARANTEED? A. Yes, on both parts. We have a 12-month warranty for all parts and for our labor. We only use manufacturer parts for LG, Frigidaire, KitchenAid, Kenmore, GE, Sub-Zero, Whirlpool, and other appliance brands to preserve your manufacturer’s warranty and because we believe you are better served when we use better parts. And, make sure to call us right away if any problems recur with your appliance. Q. WILL THE TECHNICIAN FIX THE APPLIANCE ON THE FIRST VISIT? A. We load up our service vans with more than 90% of the necessary manufacturer parts for common repairs. And we always carry the tools needed for virtually any repair job. We do this so that we can fix your appliance on a single visit. Over the years we have been easily more than 95% successful in accomplishing this goal. On the rare occasion when we need to come back for a second visit, there is never an extra charge. Q. WHAT ARE YOUR TIMEFRAMES FOR APPOINTMENTS? A. When you call to make an appointment for repairs we give you a 2-3 hour window when the technician will arrive at your residence. We know how important your time is and we do our best to come during the early part of the service window. And, when the call before yours lasts longer than we expected, this gives our repairman enough time to still arrive at your home on time. Our technician will call 10-15 minutes before they arrive at your home. Q. MAY I SEE A FULL LIST OF THE APPLIANCE BRANDS THAT YOU REPAIR? A. Please see the full list below. We repair virtually every major household appliance brand. If you own a brand that is not on our list, call us anyway. We will be pleased to special order the parts needed to complete repairs on your brand. Amana, Armstrong, Bryant, Caloric, Carrier, Century, Crosley, D&M, Electrolux, Fedders, Frigidaire, G.E., Gibson, Glenwood, Goodman, Hardwick, JC Penney, Jenn-Air, Kelvinator, Kenmore, Kitchen-Aid, L-G, Lennox, Luxaire, Magic Chef, Maytag, Norge, RCA, Roper, Rheem, Rudd, Samsung, Sears, Signature, Sub-Zero, Tappan, Whirlpool, Williamson, York & More!